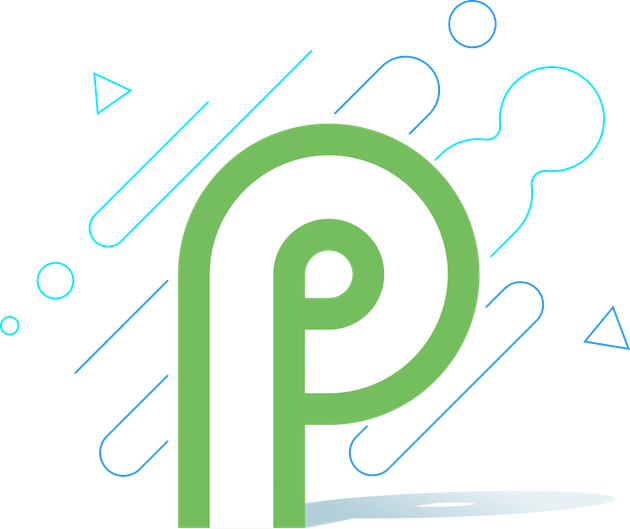 Google today released the first Android P Developer Preview to those interested in giving it a shot ahead of its public launch later this year. As is par for the course with this type of release, it’s meant for developers who are building applications for the Android platform to give them plenty of time to prepare their work for the wide release. The first preview for Android P is available for the Google Pixel, Pixel XL, Pixel 2, and Pixel 2 XL. If you want to, you can find the factory images for the launch right here. Google has a list of the new features that can be found in Android P, and as this is a major upgrade to the software, there are plenty to sift through. First and foremost, Android P does indeed offer official support for a notch design, similar to what Apple launched with the iPhone X last year and what we’ve seen from other companies this year. Google calls this a “display cutout for camera and speaker”. Another addition is better support for location discovery when you’re in a building, which will use Wi-Fi Round-Trip-Time (RTT). That technology will let your device get your specific location based on information gathered from Wi-Fi hotspots. There are also updates to support HDR VP9 Profile 2, overall security enhancements, improvements made to the autofill feature, and much more. One of the other major changes is general improvements to the notification system. 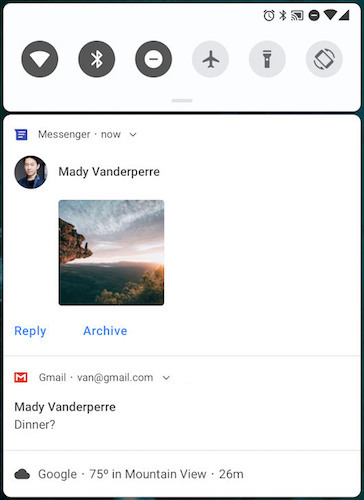 In the image just above you can see that the notification panel in the first developer preview for Android P includes rounded corners, which makes sense with so many devices having rounded display edges now. An oft-requested addition is the fact that messaging previews within the notification shade now show images. There will also be quick replies within the notification preview for a message, allowing you to quickly respond to a message. There is no word on when Android P will be made available to the public. However, we do have Google’s I/O developer conference to look forward to, which will take place on May 8, so we don’t have long to find out even more about Android P as Google shows it off on stage.